Lighting and appliances account for 15 to 20% of the total energy consumed by high-rise residential buildings. Further, the heat generated by lights and appliances is responsible for a significant portion of a building’s cooling load requirements. There are many lighting products available on the market today that are more energy efficient than standard incandescent light bulbs. 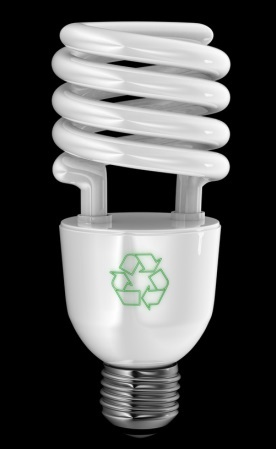 Fluorescent lamps are four times more efficient and last ten times longer. High performance fluorescent lamps (T8, Super T8 or T5) have a high light output, good light quality and low energy input. Halogen gas filled lamps are a form of advanced incandescent light that can reduce energy consumption by 50% and last up to 250% longer than the conventional incandescent light bulb. Light emitting diodes (LED) is a new technology that offers lower operating costs, a long life cycle, greater reliability and superior performance. LED lights also consume only two watts, while incandescent bulbs consume 15 to 25 watts. The energy efficiency of lighting systems must be balanced with architectural design, safety and maintenance issues. Lighting energy consumption can be reduced by as much as 75% through a lighting management program conducted by a building owner and operator, and through a well-designed layout coordinated in the early stages of building development. A qualified lighting consultant can work with the design team to provide superior lighting performance and ensure the best strategy for energy conservation. High performance appliances available today can reduce energy use by as much as 50% relative to conventional appliances. For example, front-loading horizontal axis washing machines use between 35 and 40% less water and 60% less energy than top loading vertical axis washing machines. In Canada, appliances are manufactured and rated in accordance with Natural Resources Canada’s EnerGuide energy rating system.